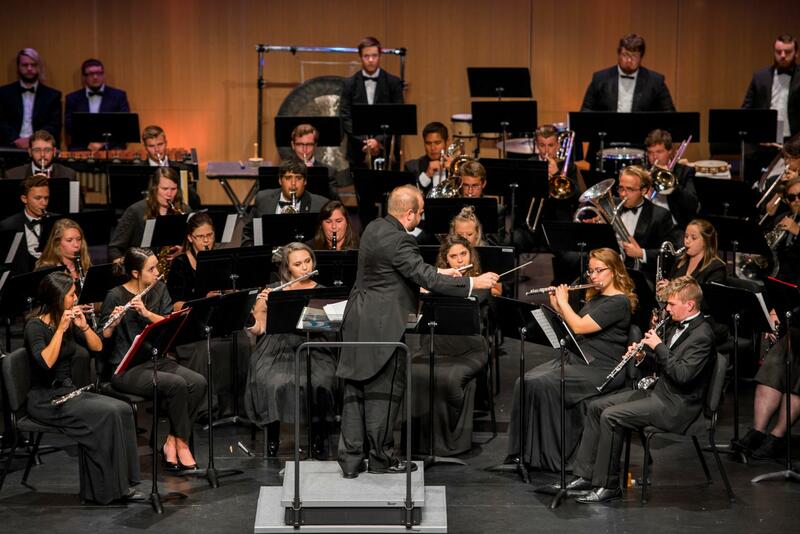 This side-by-side concert will feature the Pittsburg State University Wind Ensemble under the direction of Andrew Chybowski, and the PHS Wind Ensemble under the direction of Cooper Neil. A highlight of this special event is the world premiere of a composition written for the PSU Wind Ensemble by composer Kimberly Osberg. This work will feature PSU Vocal Faculty Stella Hastings and Patrick Howle. In addition to this brand new composition, audience members can look forward to a wide variety of music, including Percy Grainger's masterpiece for winds Lincolnshire Posy. This event is free, and is not to be missed!